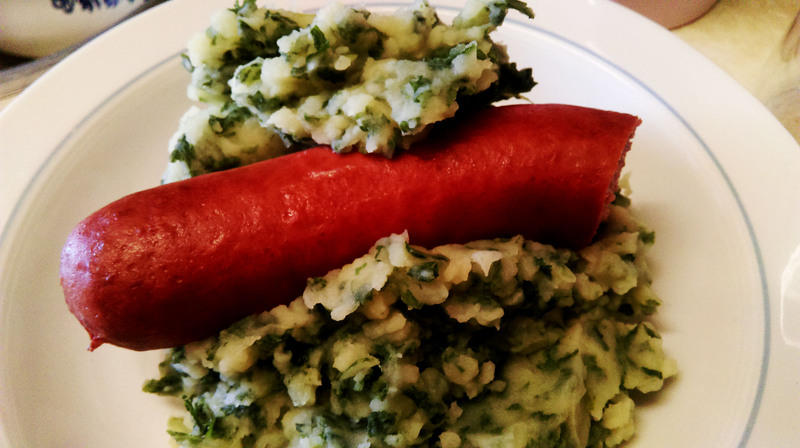 One of my favorite Dutch dishes is Stampot which is a combination of potatoes mashed with one or several other vegetables. 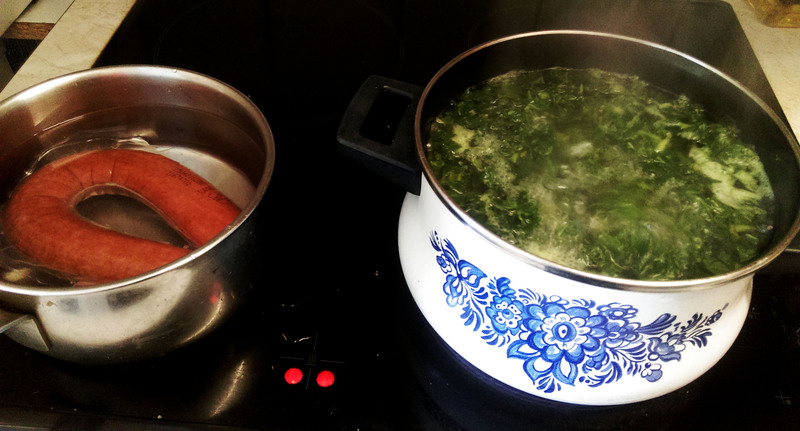 Today we made stampot by mashing boiled potatoes and kale, served with sausage. I really like this dish and it’s quite simply to do as well. Typical Dutch food! 1. 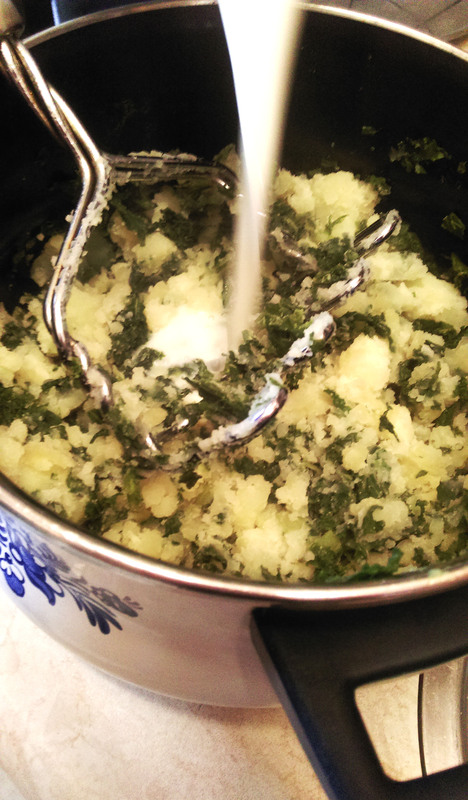 Boil potatoes and kale together for 2o min. Heat up the sausage. 2. Add some salt and milk and mash the potatoes with the kale. 3. Put the sausage on top and enjoy, eet smakelijk!